Dare to take a horrifying trip into Alice’s deranged, psychotic mind! ~The White Queen is dead and the Queen of Hearts has unleashed a dark and heinous veil that has befallen all of Wonderland. Attempting to escape, the White Rabbit has foolishly burrowed away into our world, into our HOUSE! But the Rabbit, nor the others, nor YOU shall escape the infectious evil that follows, leaving everything in its path in demented chaos -completely UNHINGED! The sick and evil madness shall pierce your heart, twist through your mind and blacken your soul! or the bloody Red Queen might rip out your heart and chop off your head! Join the madness or lose your head! 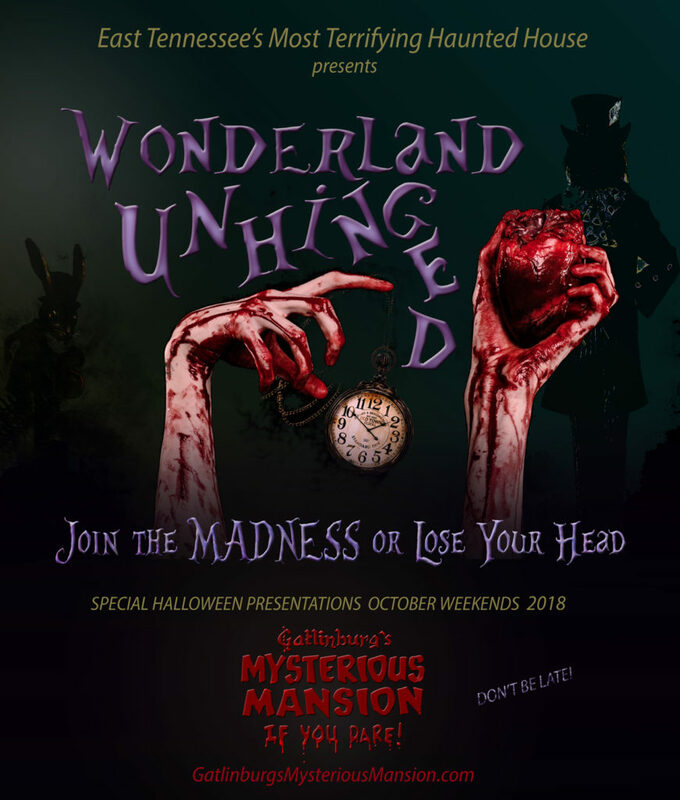 Join us Fridays, Saturdays and Sundays from dusk until close through the month of October in a horrifying adventure like you’ve never experienced before! Check back to see what’s new for 2019!